Beyond-X is, with its 14 000 pieces per year production, one of the world’s leading race suit manufacturer. This includes production for several of our competitors. We only produce high quality high performance suits and use only the finest Swiss made Schoeller race suit fabric that ensures great garment comfort and performance. Our suits can be ordered as DH- (No Padding) or GS- (With Padding) suits. Our removable padding system is state of the art. 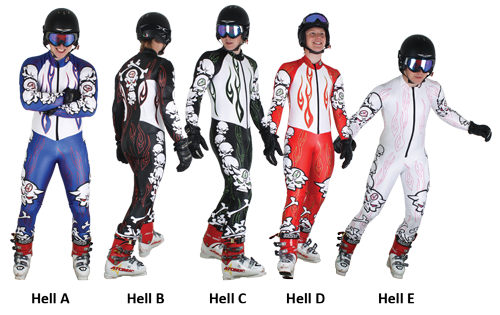 And choice of FIS or None-FIS race suit fabric is available. 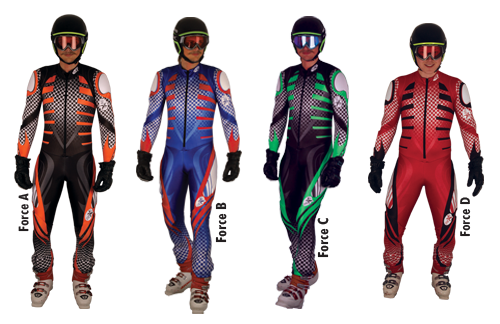 Our race suits are available in several standard print designs, each offered in a number of standard colorations. 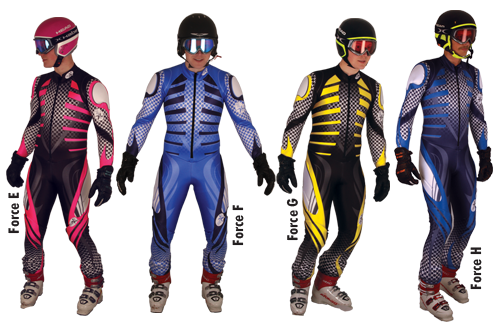 On top of that we offer a vast number of customization options (read more under Custom Race Suits). Since speed suit fabric pilling is, and always have been, a constant cause of irritation. The more elastic the fabric is, the better the suits fits. But with more pilling. Less elastic has been the answer to this dilemma, but has instead result in poor fit and comfort. Finally, after years of testing, Scoeller has developed a considerable less pilling fabric that still keeps almost the same elastic. Pilling will not be entirely gone, but greatly reduced. Beyond-X is now the first to offer this fabric alternative. Here are some of our standard designs, available in several color versions. 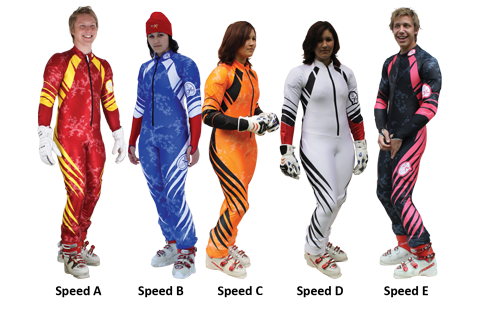 Please note that you are able to customize these race suits to your liking! 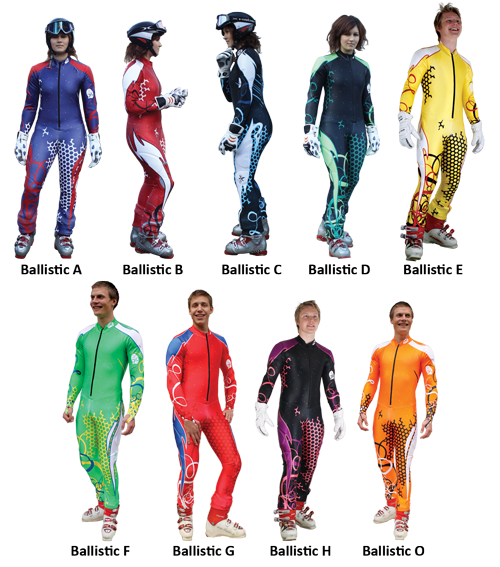 Read more about this under Custom Race Suits.